Known as the "Captial of Peace", Geneva houses several international organisations such as the Red Cross headquarters and United Nations Office. While it can be expensive, Geneva is an important financial centre in the world and has been touted to provide one of the best qualities of life. Geneva is ranked as the seventh most important financial centre in the world which puts it ahead of other key cities like Sydney, Chicago, and Frankfurt. With its strategic location in Europe and beautiful landscapes, its pleasant climate, and its economic stability; there is no denying the magic that it holds for expatriates looking for a city to build a new life. The city has a population of about 186,825. Geneva leads in Switzerland as the most expat populated city in the country, with about 45% of the inhabitants holding a foreign passport. The city of Geneva is a small, 282-kilometer enclosed piece of land, surrounded by neighbouring French towns. It is located south of the Department of the Ain, and north of the Department of the Haute-Savoie. Providing a daily dose of fresh sights for the weary eyes, it is located between the Alps and the Jura Mountains at the south-west tip of the city and traversed by the Rhône and the Arve rivers. Its geographical location makes the city accessible to other premiere European cities like Paris or Milan, which are just an hour away by plane. A plane ride from Geneva to other key cities like London, Rome, or Madrid would also take less than a couple of hours. Geneva has always been referred to as one of the top ten expats destinations in the world where high employment success and quality way of life are within everyone’s reach. Many international corporations and agencies are stationed in this city which also serves as one of Switzerland’s centre for commerce. It is highly possible that you will find promising job opportunities in its leading sectors such as finance, tourism, hotel and private banking. The local economy is continuously moving towards stability and progress that’s why many people are drawn to the idea of starting a new career and life with their family in this city. Geneva is also the nation’s most internationalised city where you can look forward to being among other expats who can share their experiences to a first timer. 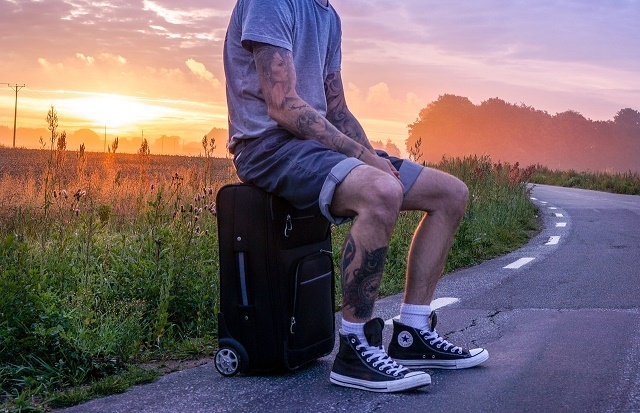 Moving abroad is not easy, but with these helpful tips, you can rest assure that your relocation to Geneva will be a successful one. It is strongly suggested that you start looking for a home in Geneva a few weeks before you arrive. Hiring a local realtor is also a good option especially if you do not speak any of the four local languages which are French, Italian, German and Romansch. An agent can help you communicate with the landlords and speed up your search with their familiarity with the neighbourhoods and many options in the housing market. If the utilities are not covered in your rental pay, you should budget around €175 monthly to cover the bills for your water, electricity, gas and maintenance service like garbage collection. You can also get internet connection which will cost you roughly €60 per month, and make local mobile calls which are charged €0.65 per minute. Finding accommodation in Madrid can be a bit hard because of the strict competition among expats and locals looking for rentals. The demand is high, and there is limited availability in the housing market which causes the prices to go up. Contracts usually last a year, but you can negotiate whether you would prefer a short term or long term lease agreement. Apartment blocks are the most common type of housing for expats, and certain rules are being implemented that no matter how you find it silly, you are required to adhere because managements are very strict. The temperate climate in Geneva is mainly due to its elevation and proximity to two towering mountains. At about 1,210 feet above sea level, winters in the city are usually dry and subject to harsh northerly winds. January is pegged as the chilliest month during the year. Summer is usually ushered in with sunny weather with the hottest temperature of about 55 °F in the months of March and April. The evenings are usually a tad cooler and make the perfect setting for outdoor celebrations or parties. Autumn in Geneva comes at the end of September and usually spells damp, dewy days for the people of Geneva. One of your important must-haves in Geneva: weather gear, especially if you're coming in during the winter months. The snow-capped Alps is enough visual for you to imagine the kind of clothing advisable in this city. Pack your warmest scarves, squeeze in your favourite mittens and hats, and make sure to have your thickest jackets inside your luggage. Summer is usually warmer, so make sure you also have clothes in a lighter fabric, although a cardigan or light jacket may also be needed at times. An umbrella is also essential weather gear. Common advice from expats: if you're into fashion, then Geneva is definitely a place where you could showcase your style without sticking out too much. Many international shipping and removal companies can help you bring your belongings to Geneva. Hiring one of these professionals can make the moving process hassle free for you because they will be the one to facilitate the entire delivery until you receive the shipment in your new home. Geneva is a landlocked city so all containers bound here will arrive first in the Port of Genova where the estimated transit time is between 14-18 days. You can visit Switzerland's customs website to know about the city's import procedures. All domestic animals entering Geneva should have a microchip as a form of identification. Your pet should also have complete documents such as the Rabies Vaccination Certificate at least 21 days and not more than 12 months before import and the International Health Certificate which states that your pet is in good health and free from any parasites or contagious diseases. Hard work and commitment are two of the keys to unlock success in this city. Don’t worry – it is not all work and no play in Geneva. There are many beautiful scenic spots, child-friendly outdoor activities and exciting attractions that you and your family can look forward to experiencing once you arrive. 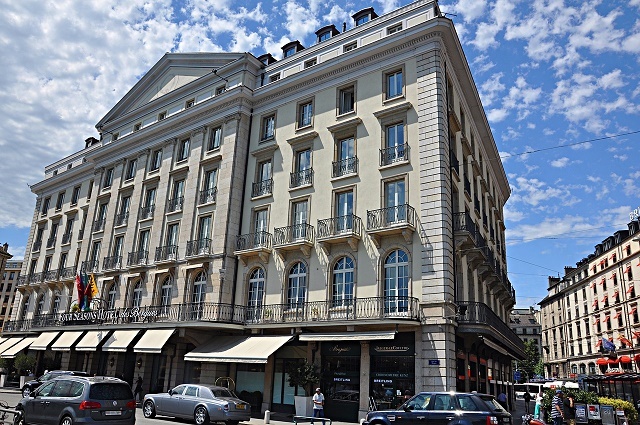 Geneva has many names, and all of these can be attributed to its success as a city. Ninth most important financial centre in terms of global competitiveness, one of the most expensive city in the world, a peace capital, the city with the third-highest quality of life, and the world’s most compact metropolis—Geneva, being known in all these means it is not just a simple rich city of Switzerland. The Swiss city Geneva is known as a capital of peace. As a headquarter to the International Red Cross and a French-speaking country, the city promises a country-like and protected life. Expatriates moving to Geneva would also find it easy to blend in with the locals as Geneva is pretty much globalised and is the European seat of UNO. Since Geneva is known for being an expensive city, it is essential for many foreign assignees to know exactly where and how to get their basic needs. Primarily, there are free and accessible public toilets catering to the citizens and tourists all over Geneva. These are classified into two, one is Place du Bourg de Four (permanent toilet) and Parc des Bastions (mobile toilet). While utilities such as household waste, gas, electricity and water are all obtained through the Services Industriels de Geneva (SIG). For food and clothing, all can be purchased from any of the three major supermarkets in the city which includes Manor, Migros and Coop. Compared to the two latter, Manor is where both expatriates and locals find high-standard products in which most Swiss are known for -- buying luxurious items. Take note that the operating hours of groceries in Geneva are from 8AM up to 7PM. 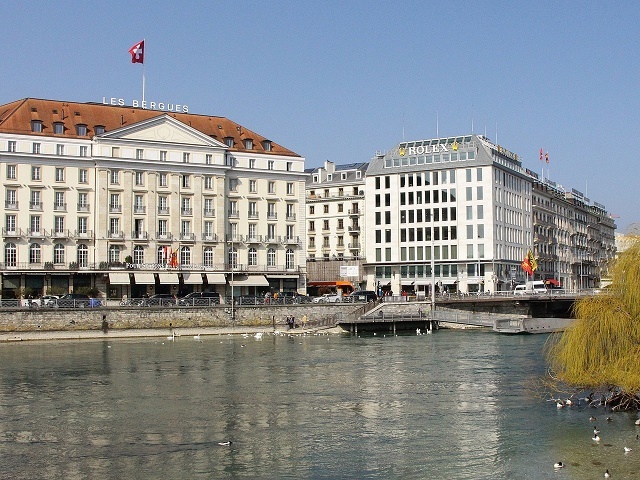 Geneva is filled with various tourist attractions which cater to kids and the young-at-heart. Expat children may spend some time with their parents at the Botanical Gardens & Conservatory, Parc des Bastions, Zoo Park and visit some art museums like the Natural History Museum. Locals’ favourite pastime here is still going out to see some movies. Expats must know that there is a ten-minute intermission right before the movie, and most of the films shown are dubbed in French. Genevans also would not miss out when celebrating their events and some of the ones they always prepare for are the Geneva Winter Carnival, Antigel Festival and International Geneva Motor Show. Foreign nationals must fully understand how the Swiss value their culture very well. In fact, the country’s motto is “Unity, yes; Uniformity, no.”, therefore, it is obvious that the locals value hard work, cleanliness and politeness so much. When eating out with locals, expats must keep in mind to never wave their hands to the waiters but instead address them properly. Waiters are called as Herr Ober and waitresses are called Fraulein. Make sure to get acquainted with the cultural norms in Geneva for you to adjust easily to life here.